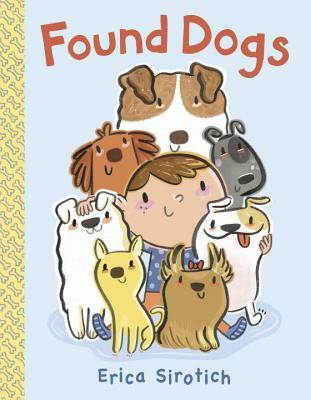 For fans of Sandra Boynton’s Doggies and Karent Katz's Counting Kisses, this adorable rhyming and counting book tallies up all the dogs at the shelter, and then counts backward as the pups are adopted—a perfect fit for every preschooler’s library. Babies and toddlers will delight in counting up each wriggly, wraggly rescue pup and then counting back down as each doggie is adopted. A bright, bouncy rhyme, jubilant art, and scads of adorable dogs will have wee ones giggling for more. Erica Sirotich’s artwork has graced kids' publications, toy packaging, greeting cards, websites, and apps. In her previous creative life, she owned and operated Cuddlefish Press, where she created prints for children’s rooms and nurseries. Erica is now a full-time author/illustrator and lives in Florida with her own found dog, Russell Redfur.